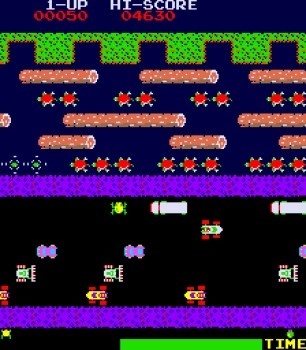 A gamer in Westport, Connecticut, has finally broken the world-famous Seinfeld Frogger high score, beating George Constanza's old mark by more than 36,000 points. For the benefit of those unfamiliar with Seinfeld, allow me to explain. In a 1998 episode entitled "The Frogger," it is revealed that in his teenage years, Jerry's buddy George set a high score of 860,630 on a Frogger machine in an old restaurant, a mark that was somehow still standing when he rediscovered the unit, still in the same eatery, years later. While George's efforts to preserve the classic arcade stand-up ended in predictable failure, his imaginary score remained, seemingly unassailable. It was, after all, a "few hundred thousand" points higher than the real-life high score. But no longer! Pat Laffaye of Westport, Connecticut has finally done the impossible, smashing Costanza's old mark by a full 36,350 points. His final score, as verified by Twin Galaxies, was 896,980 points, making him the first gamer on record ever to cross the legendary Costanza line. "The game is elegantly simple at first glance," he told the Westport News. "Just make a little frog cross a road and a river, what's so hard about that? However, its true difficultly is completely disguised in that there are at least a dozen ways to get killed." Andy Robin, a Seinfeld writer in the 90s (although he didn't participate in this episode) said Frogger was chosen for the show because one of the other writers had once set a record on a Frogger machine in Queens, New York. He added that it was "pretty cool" that someone would make a point of beating a fictional score from so many years ago. "It's all relative. I think that most people would call it a pointless, lazy man's use of time," said Robin, a self-described gamer. "It speaks a lot about the George Costanza character. I can really identify with George. For me, playing video games is the noblest, most efficient use of human time." Not everyone was quite as impressed, however. When told about the new record, Jason Alexander, who portrayed George on the show, said, "Mazel Tov, you beat a fictional character with a fictional score. Give your parents back whatever they paid for your college."